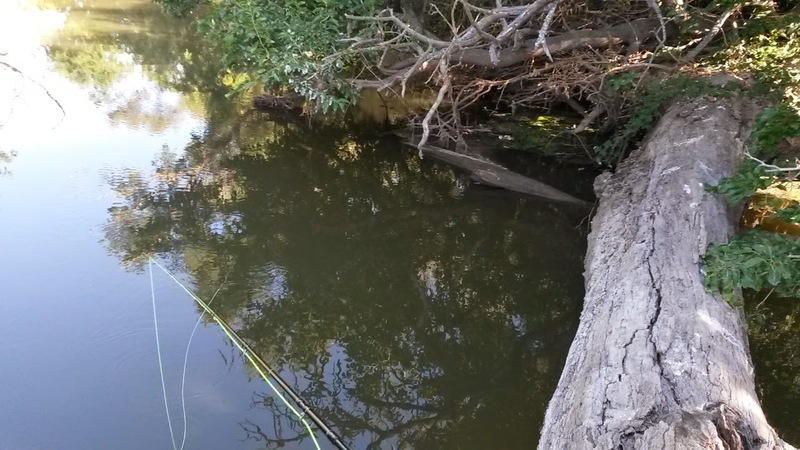 Breaking the Bank: The Drought Strikes Again! Last Wednesday I had the day off so I called up Russell and we hit up butte pond. I hadn’t been to butte pond since earlier this year so I was excited to have some success. Well guess what, the drought strikes again! 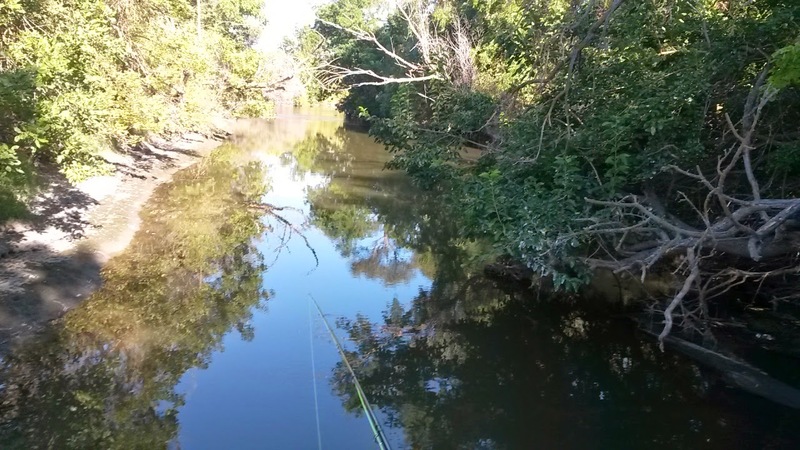 The areas we used to fish were probably 1-3 feet deep. While these COULD hold bass, they certainly weren’t biting on our offers. We threw out spin baits, buzz baits, topwater frogs, poppers, popping frogs, crank baits, pretty much everything but nothing was biting! I was beginning to think we were going to get skunked. With that we had a few beers and hung out in the shade. 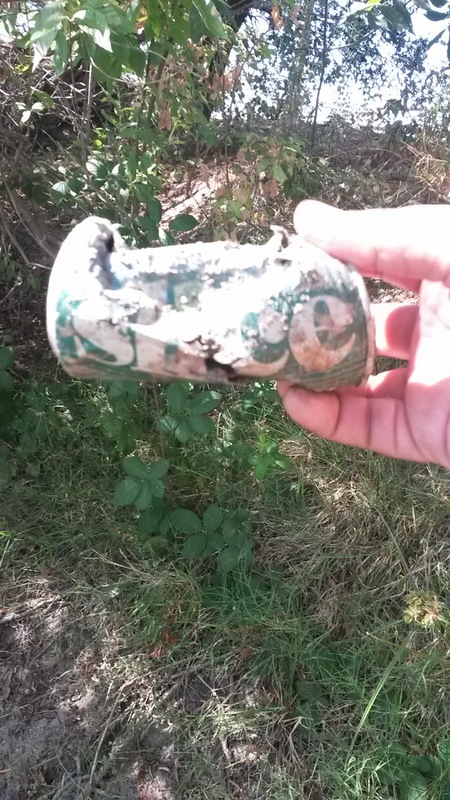 While exploring I ended up finding this “Slice can.” I didn’t pay attention to when they stopped making this soda but I know it was a while ago. This is the type of thing you do when you aren’t getting any bites. So after a while I armed myself with Bonecrusher (my 8 wt.) and we went for a walk. 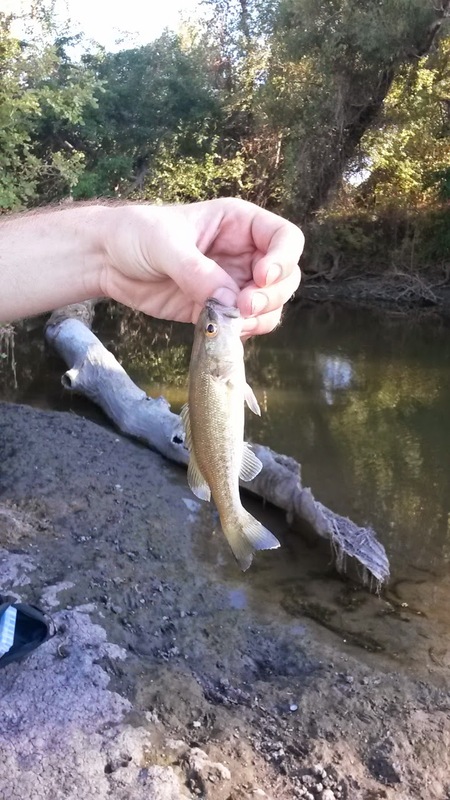 We ended up going to a creek area that we had seen before but never fished. I knew it looked fishy and still want to catfish it because it is rushing water. 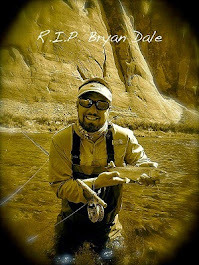 There was a fallen tree over the the creek so we went to the middle and cast a black wooley bugger in both directions. On the upstream side I got a quick strike but no takers. 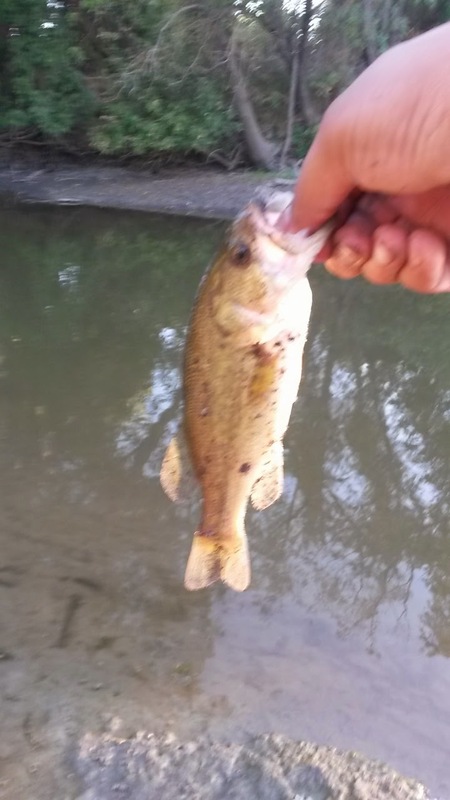 A bit later we switched to the old worm and bobber and ended up getting into a few more gills and largemouths. Between both of us it was a seven fish day. It really stinks that my first time at butte pond this summer was not a good one. I’m sad that another spot of ours bit the dust and we definitely need to pray for heavy rains and snow in the hills! 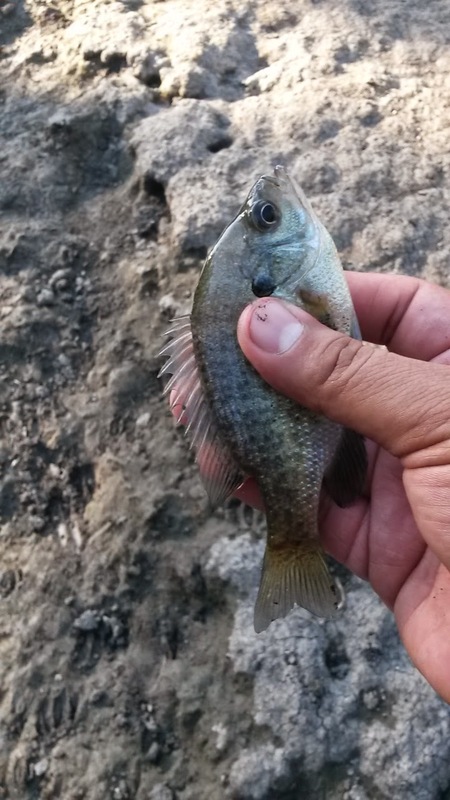 Total Fish: 2 Largemouth bass + 1 Bluegill = 3 fish. Worst drought I have ever seen. The old timers tell me that there was a bad one back in the 70's but they also said this one was worse! Really hope you California guys get some rain ASAP! I was here in the 70's and this one is way worse. This is the worst I've seen in 50+ years in California.